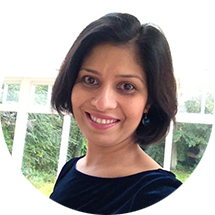 Sejal, a consultant psychiatrist, starting getting headaches and nausea in 2008 not long after the birth of her daughter. In March 2009 she was diagnosed with kidney failure of unknown cause. Her husband and brother were both tested as matches but neither was a good match. A 6/6 match was found from a deceased donor and in October 2010 Sejal had her kidney transplant at the Freeman Hospital. Sejal said: "It's been absolutely life changing. It's amazing what a stranger has done for me by donating their kidney. I can't thank them enough."